Abigail, aka Scabigail, won Alton Brown’s heart though her Instagram account, @call_me_scabigail. 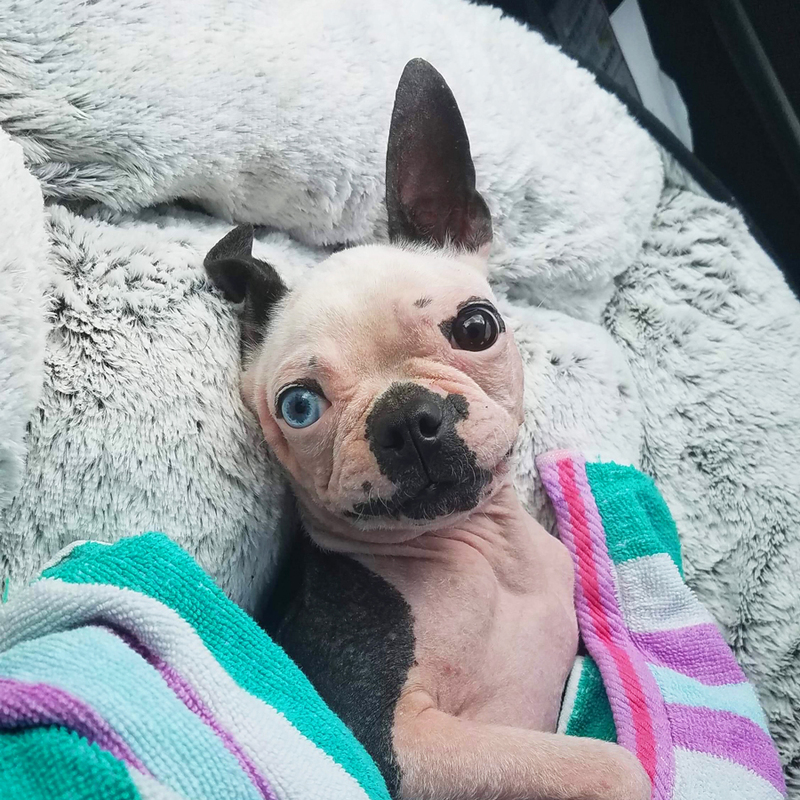 Pink-skinned, hairless, and yes, a little scabby, Abigail the Boston terrier cuts an unlikely figure for a celebrity pet. 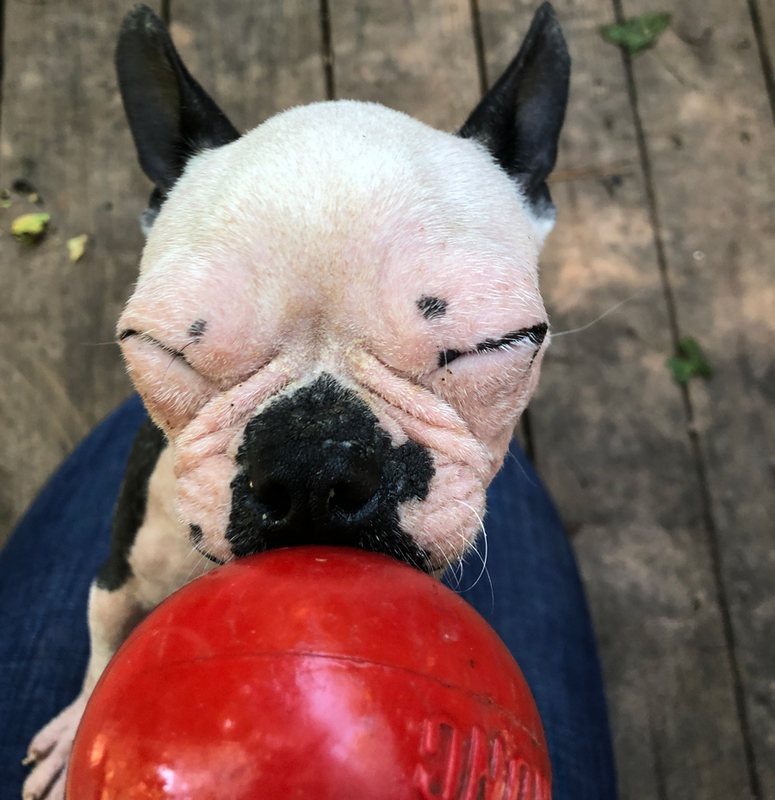 But this scrappy terrier hit the jackpot this week when Food Network host Alton Brown spotted her on Instagram and decided to bring her home. 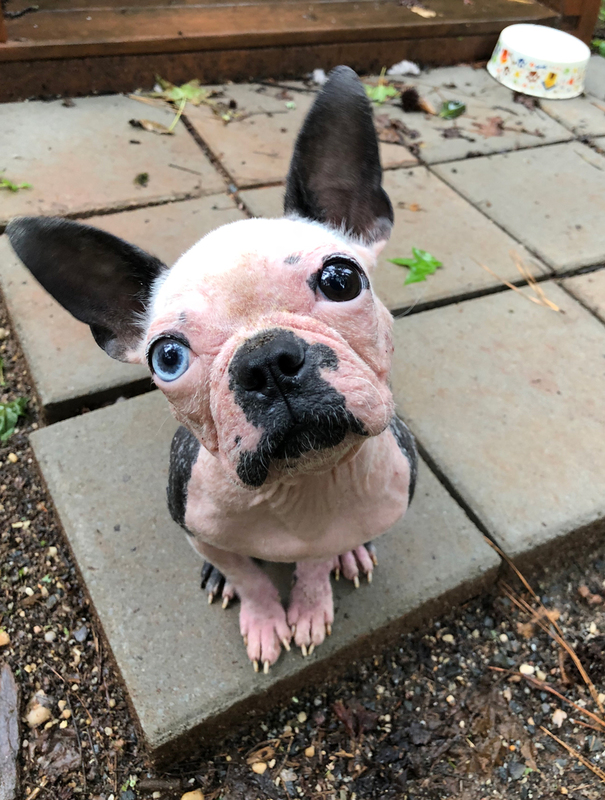 Abigail, nicknamed Scabigail (or simply “Scabs”), arrived at the Atlanta Humane Society alongside 77 other dogs, all rescued from a squalorous case of animal neglect in Northwest Georgia’s Murray County. 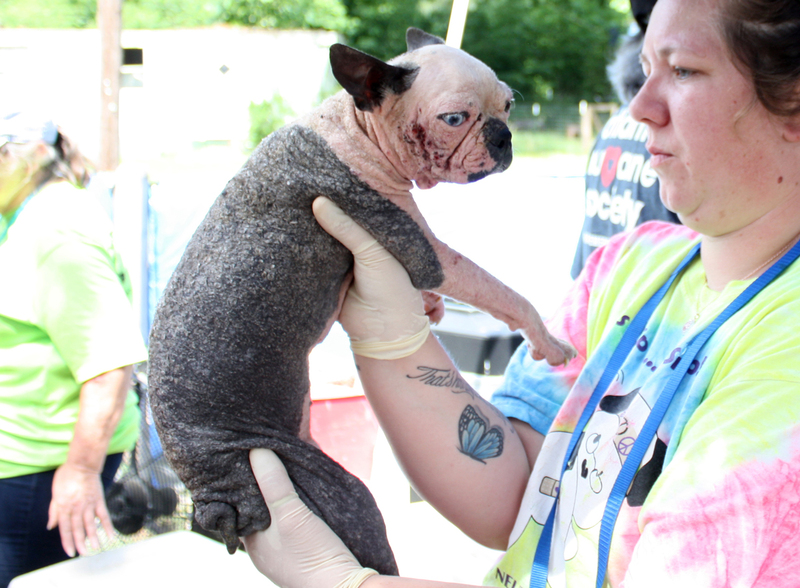 “This was a situation where the owner was no longer able to care for the dogs,” explains Christina Hill, the Atlanta Humane Society’s director of marketing and communications. 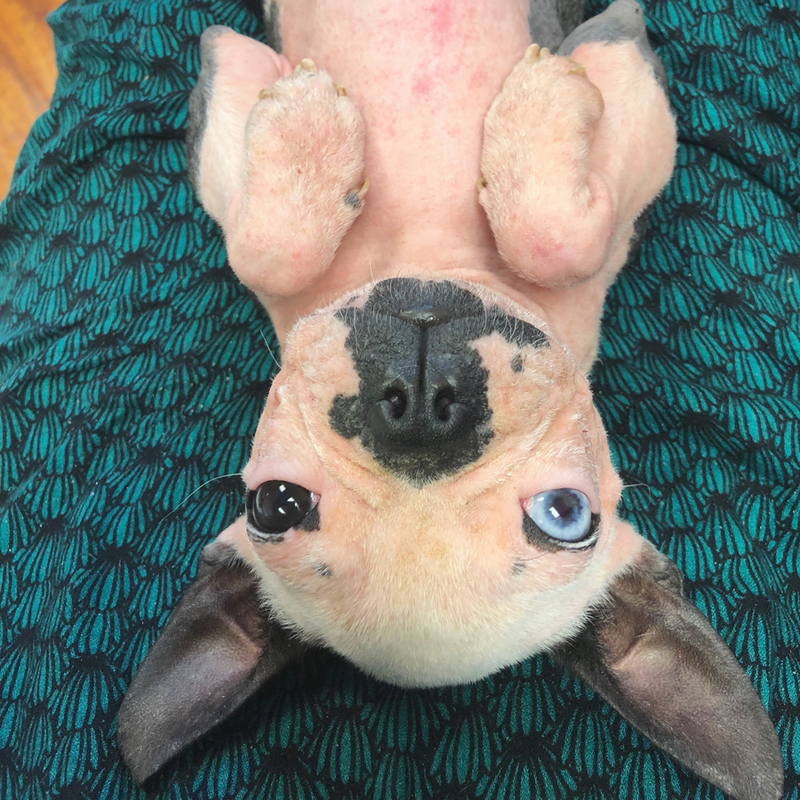 About half of the dogs were healthy enough to go up for adoption within a few days, but the other half required more specialized ongoing medical care. 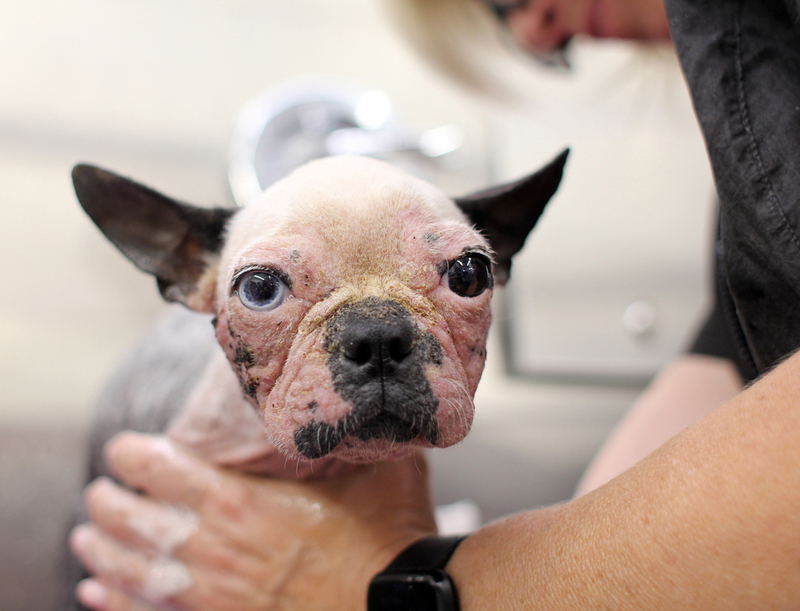 Tiny Abigail fell in the latter category: her mange, a skin condition caused by parasites, resulted in inflamed, scabby skin and total hair loss, and requires ongoing medicated baths. 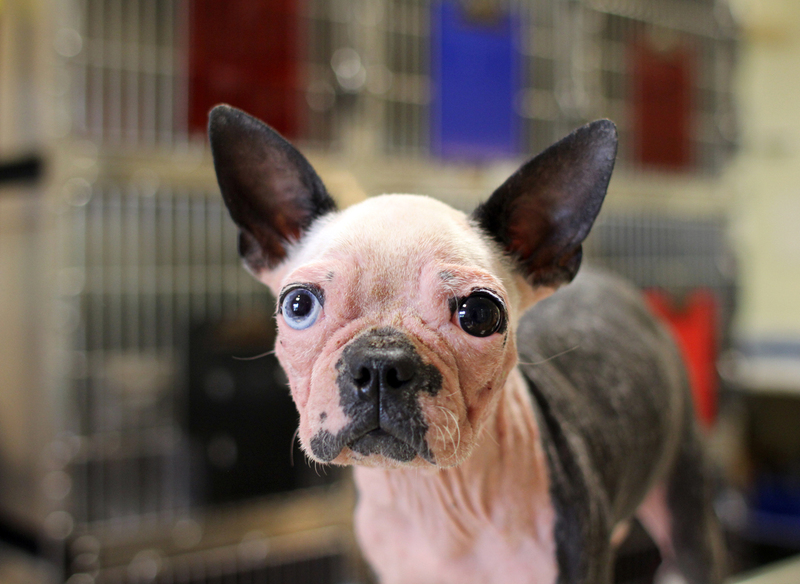 Abigail’s mange caused her to lose all of her hair and develop scabs all over her body. Hence the nickname—Scabigail—and the Instagram account, where her bio reads, “On a mission to grow all of my hairs back. Every. Single. One.” Both the nom de plume and the Instagram are the work of AHS’s marketing manager, Amanda Harris, who was fostering Abigail at the time. “Amanda started the Instagram for fun because she thought it’d be goofy and silly,” explains Hill, adding that Scabs is a natural for the ‘gram, thanks to her expressive face and photogenic head tilt. “We also thought it’d be a great engagement tool for people to help them understand how we care for animals,” Hill adds, “and understand that there’s a lot of work that we’ve put into [caring for] the animals.” Indeed, more and more animal rescue organizations are getting creative with social media in order to find homes for pets, especially their harder-to-place animals. Scabs shows off her adorable head-tilt. Scabigail’s account racked up more than 3,000 followers in about two weeks. And one of them happened to be Alton Brown, who immediately made plans for a meet-and-greet. “He landed on the page, saw her absolutely adorable face, and fell in love,” Hill says. 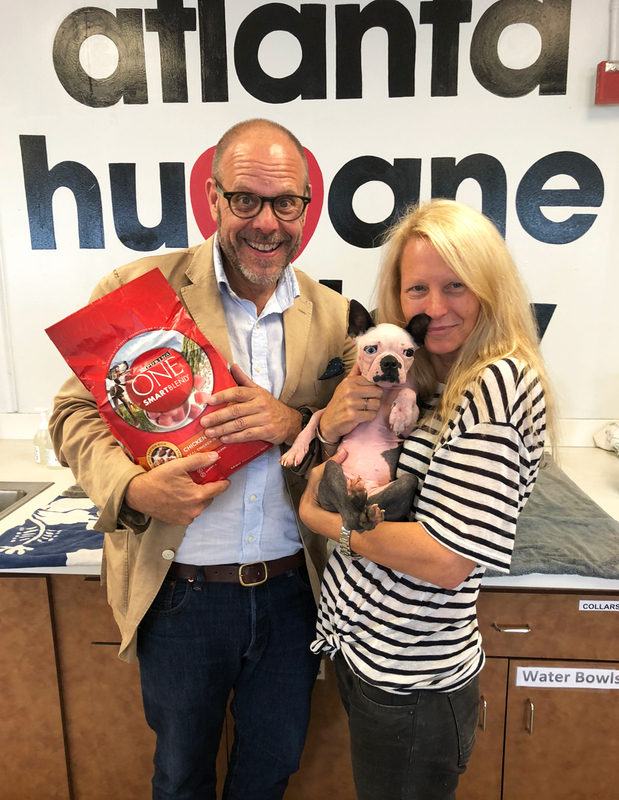 Brown and his fiancee, Atlanta restaurant designer Elizabeth Ingram, visited the Atlanta Humane Society’s Howell Mill campus on Tuesday, and the rest is history. Brown says the couple will “absolutely” keep Scabigail’s nickname and will also maintain her Instagram presence for her fans. 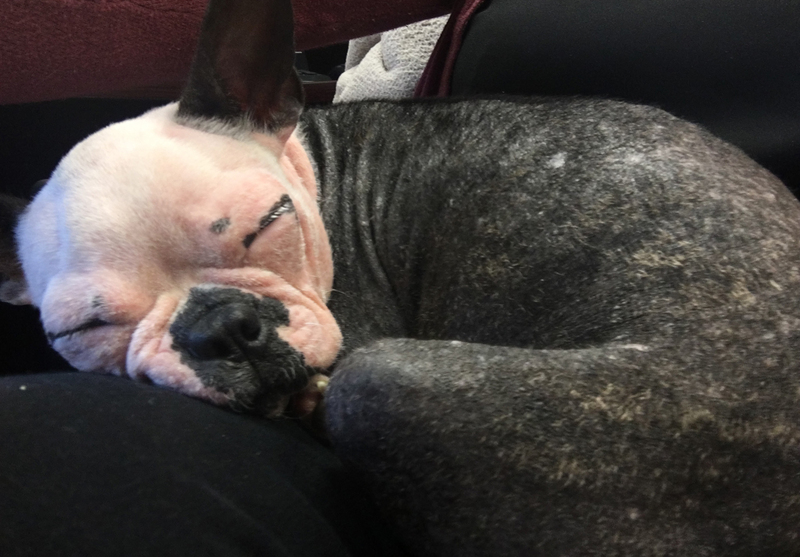 Additional dogs from the Murray County rescue are still looking for homes: seven are on the adoption floor at present, and an additional twelve will go up for adoption within two to six weeks. All of them knew sweet Scabs before she was Internet-famous. Abigail’s story has a happy ending.